So you've always wanted to kayak, swim, jet-ski, surf, or sail. Chicago water sports are for the aquatically adept as well as those who wouldn't know a paddle from a poodle—plenty of options let you sit back, sip a cocktail, and let someone else do all the work. Chicago River Canoe and Kayak Saturdays throughout the summer, this Chicago- and Skokie-based business hosts twilight dinner "cruises" where attendees paddle to a riverside park for a picnic supplied by Noon-o-Kebab ($45 per person). Lessons, tours, and rentals are also available. Chicago location: 3400 N. Rockwell, 773-704-2663, chicagoriverpaddle.com. Kayak Chicago Kayaking lessons and equipment rental, as well as guided tours that include an architectural paddle and a night paddle. Three locations: one on the Chicago River (1501 N. Magnolia) and two on Lake Michigan (Montrose Beach and North Avenue Beach). Season passes available. Kayakchicago.com, 630-336-7245. Wateriders In addition to kayak rentals, Wateriders offers tours, including a Fireworks Paddle at Navy Pier and a Shady Chicago Tour, in search of the city's "ghosts and gangsters." 950 N. Kingsbury, 312-953-9287, wateriders.com. Chicago Sailboat Charters Four boats available for charter—that's where you sit back and let a licensed captain sail the boat for you—seat up to six people; larger options are also available. Amenities include easy access to the water, iPod hookups, and more. Belmont Harbor, 773-236-7245, chicagosailboatcharters.com. Chicago Sailing A beginners' sailing class certifies attendees to rent their own sailboats. Also: rentals for those already certified, refresher and advanced sailing courses, and charters. Belmont Harbor, 773-871-7245, chicagosailing.com. Come Sailing The regular options for sailboat charter are divided into daytime and nighttime sails, but special events include fireworks sails as well as trips to watch concerts—from the privacy of your boat—on Northerly Island. Monroe Harbor, 708-824-7245, comesailing.us. 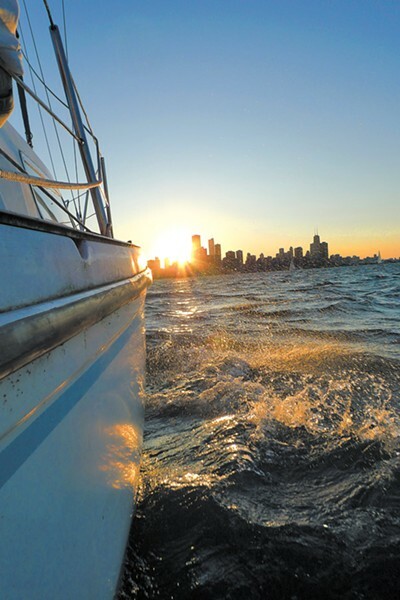 Go Sailing Chicago Charters are available seven days a week, so you can sail during the summer's best lakefront events: the fireworks, the Air and Water Show, and more. 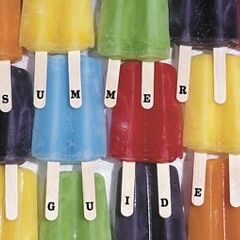 400 E. Monroe, 773-710-7245, gosailingchicago.com. Tall Ship Adventures Two sailing ships, Red Witch and Windy, have room enough to host private parties of up to 49 and 150, respectively; the fleet also includes the new yacht Pianissimo, which holds six. Individual rides and narrated tours are also available. Burnham Park Harbor and Navy Pier, 312-404-5800, tallshipadventuresofchicago.com. 3rd Coast Cruising Located in DuSable Harbor, 3rd Coast offers classes in sailing and navigation on a fleet of 30-plus-foot cruisers. Season passes available. Lower Randolph and Lake Shore, 708-482-4300, 3rdcoastcruising.com. Windy City Sailing Options for private sailboat charters include cruises during the fireworks, Jazz Fest, Blues Fest, and Taste of Chicago. Charters seat up to six people, and bed-and-breakfast options are available. Belmont Harbor, 773-868-0096, windycitysailing.com. Chicago Kitesurfing Organized by enthusiasts, this group offers introductory and advanced lessons in kitesurfing, where surfers use kites and the wind to pull them through the water. chicagokitesurfing.com. Third Coast Surf Shop This surf emporium, about 90 minutes from Chicago, offers lessons. A second location at 212 State, St. Joseph, Michigan, opened in April. 22 S. Smith, New Buffalo, Michigan, 269-932-4575, thirdcoastsurfshop.com. Windy City Watersports Jet-ski rentals and tours to destinations like Adler Planetarium, Oak Street Beach, and Willis Tower. 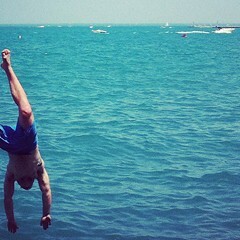 Montrose Beach, 312-278-3316, jetskischicago.com. Chicago Blue Dolphins Lessons, clinics, and a swim team, open to swimmers of all ages, abilities, and experience levels. 2220 N. Elston, with swim team practice locations at Moody Bible Institute and UIC, 773-342-7250, chicagobluedolphins.com. Chicago Scuba School Scuba and diving classes that extend up to the level of divemaster, a professional designation. The school also sells equipment. 6201 W. Touhy, 312-771-8647, chicagoscubaschool.com. Dive Chicago Scuba courses, dive charters, repairs, and rentals. There's also a rent-to-buy equipment program. 1559 S. Lake Shore at Burnham Harbor, 312-922-5090, divechicago.com. Elmer's Watersports This Evanston institution offers scuba and snorkel classes, gear, and travel adventures to locales ranging from Cozumel to the Philippines. 1310 Oakton, Evanston, 847-475-7946, elmerswatersports.com. Northwestern University As part of its adult swim program, the college offers beginner, intermediate, and advanced classes for ages 13 and up. Sunday session classes start 6/13, Wednesday classes 6/23. Norris Aquatics Center, 2311 Campus Dr., Evanston, 847-491-4300, www.fitrec.northwestern.edu. YMCA Aquatics Programs offered at various city Ys include swim lessons for kids and adults, water exercise classes, and competitive swim teams. See ymcachgo.org for details and locations. Who needs summer lakefront crowds when there's September on the beach? No more fascistic lifeguards, just sun-loving Russians expats and triathloners in training.